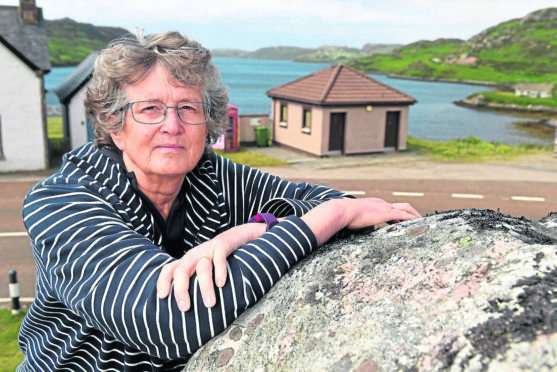 Durness residents have been bearing the brunt of ‘wild looing’ after the village’s public toilets were abruptly closed by council officials. The decision dismayed locals, coming just as the visitor season kicked-off and prompting a bizarre open and close cycle. Under protest from community council and local councillor Hugh Morrison, the toilets reopened within two days only to then be locked once more. Residents pointed out evidence of people relieving themselves round the back of the building, in full view of homes. Now the toilets are apparently to re-open this week amidst suggestions the closures were the result of a misunderstanding – though question marks remain over their future. That reprieve will be welcomed by the community, for whom they are a vitally important resource given the pressure upon facilities at nearby Smoo Cave. Councillor Morrison said he had been in despair about the sudden toilet closure, after they had been open all winter. The move was undertaken without consultation and without the facilities appearing anywhere in council lists for closure or review. “You couldn’t make it up,” he said. “Now we’ve been told it was a ‘misunderstanding’ and the toilets will reopen next week. The village also has public toilets at Smoo Cave, which are council-run and open all-year-round. Margaret Meek leads the Highland Save Our Loos campaign, whose members are working to try and stop the council closing north-west Sutherland facilities. She said: “Smoo Cave is struggling to cope with demand already, and the car park is already overflowing, so the toilets in the village are a godsend for Durness. Regarding wild-looing, the spokeswoman said: “The police have powers to issue on-the-spot fines to people who are behaving in an antisocial way and causing annoyance to others. Mrs Meek added: “Our single policeman covers a vast area and it could easily take two hours for him to arrive. “At our public meeting last June, the amenities staff advised people to call the police. “At the time, our local police officer spoke to clarify. He said that if people urinated or defecated in public, they would need a ‘reasonable excuse’. Durness community council chairman Don Campbell added: “We’re going to drag the officials up to a community council meeting to explain what’s going on and we can take it from there.